On the 14th of July last year, I posted about some orphan ducklings here. I don’t remember if I kept you abreast of the entire saga. 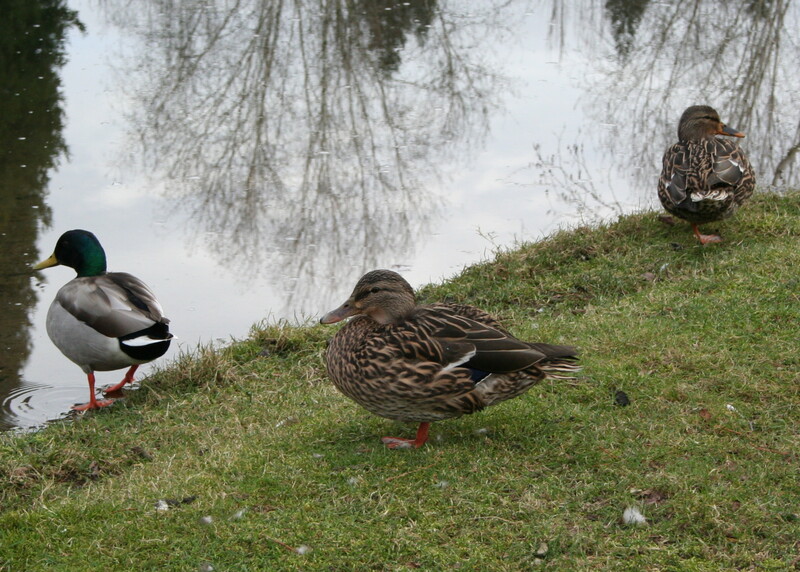 The three surviving ducklings lasted less than a week. Then there were two and the pair lasted a few days more. And then there was one. And one raised herself. She stayed in the same pond for weeks, hiding in the brush and swimming by herself. We didn’t know if she was a “she” or a “he” for the longest time. 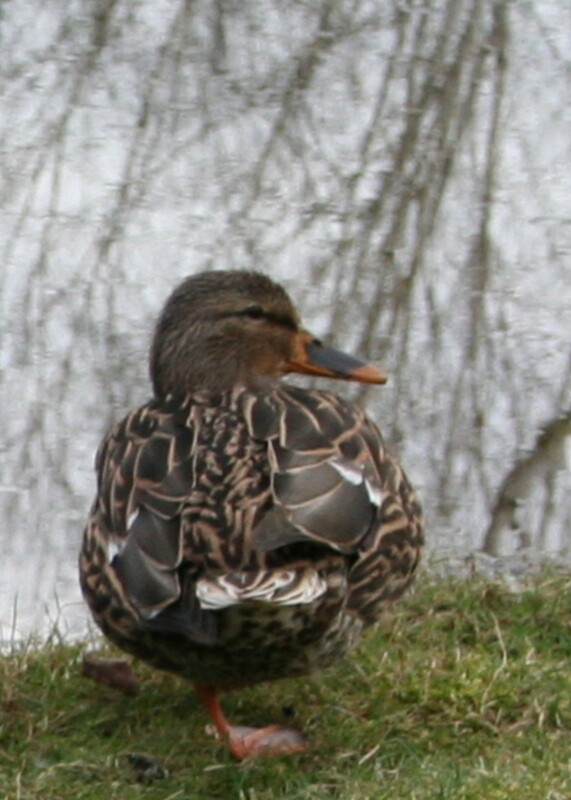 Mallards don’t begin to change until long after they get their pin-feathers. 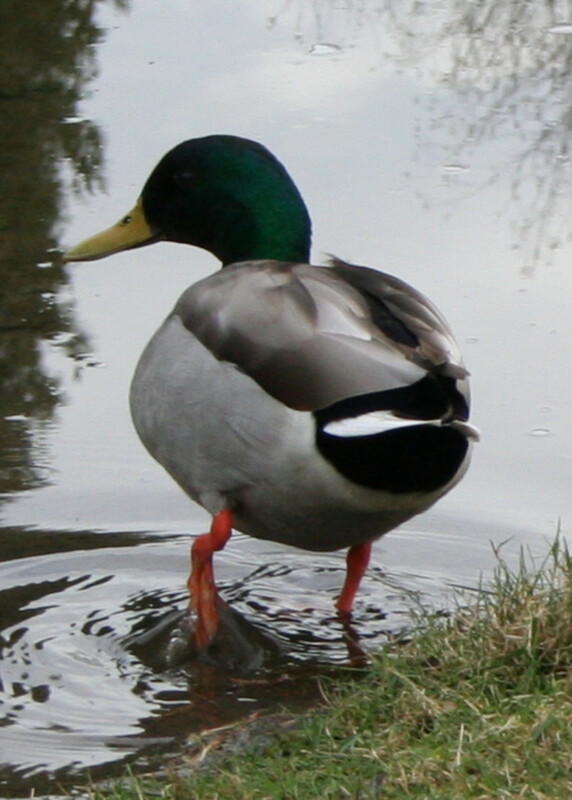 The drakes don’t have their full irridescent green heads until their second summer. 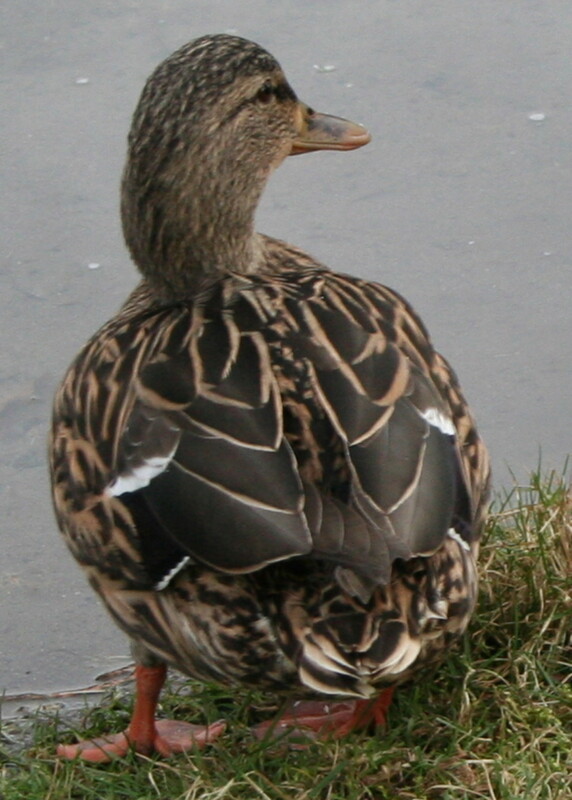 Even after she got her pin feathers and began to look more like a mallard, she stayed in the one pond. 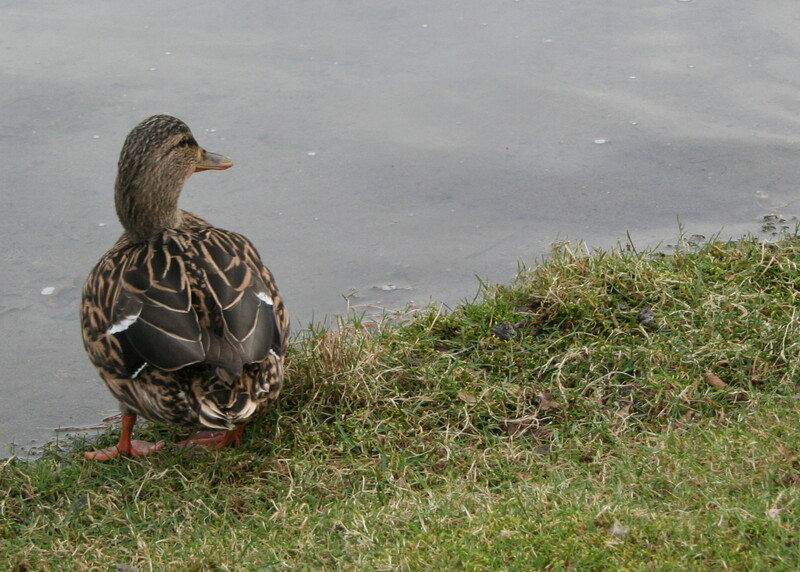 She didn’t seek out the company of the geese that occasionally came to her pond, or even that of other ducks. She was a content little orphan, growing bigger every week. Then one day, she braved the traffic that had killed her mother and waddled across the wide road to one of the other ponds. 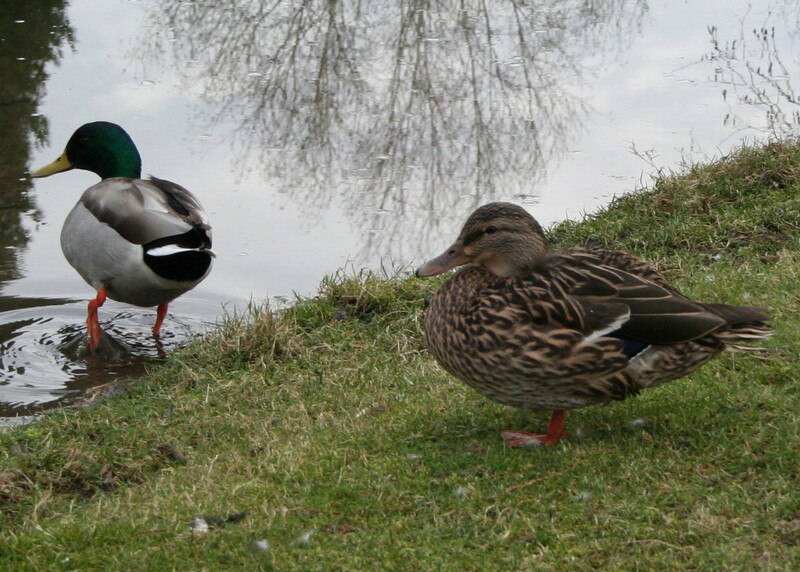 She stayed stand-offish with the other ducks. I don’t think she knew she was a duck. Her mother died when she was hours old. Her siblings died before she was two weeks old. She raised herself. What did she know of being a duck except for the instincts that kept her alive all those nights and days? One day it happened. She joined the other ducks. We could no longer tell which hen she was. She flew away with the other ducks. I don’t know if my walking partner named the duckling (well, she called it “our ducky”) but I did. Secretly. I think she had a lot more than luck going her way, so Lucky wasn’t a good name for her. She had wonderful instincts that kept her safe. She stayed in one place until she was large enough to take care of herself and fly. She gave me hope that somehow, things just plain work out despite all the setbacks in life. Not that ducks complain. I don’t even think she felt sorrow in the way that humans do. A momentary loss when her mother and siblings were gone, but there was the business of survival at hand. If she were a human, she might have considered giving up. But that wasn’t a duck option. No, the only option she had was to survive. And she did it well. 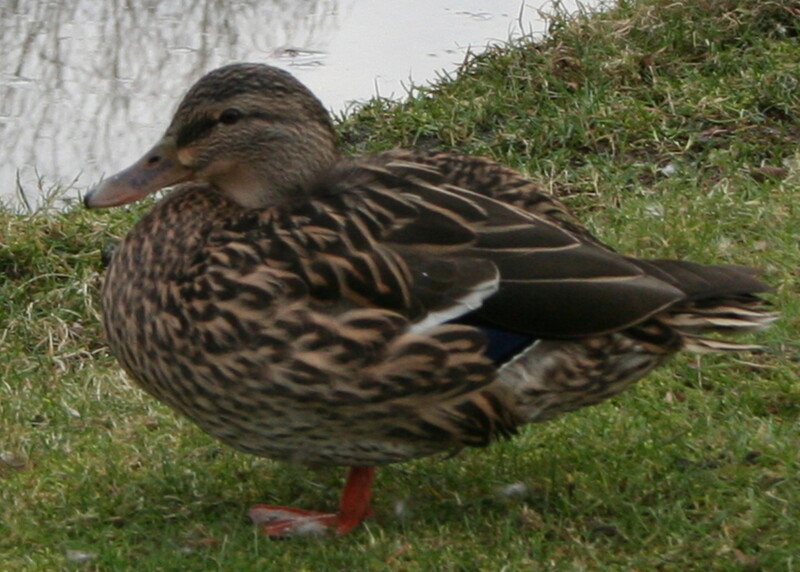 We like to think one of the hens in every group of ducks that comes around is our little duckling grown up. I’ve thought of this duck often, and wondered what had become of her. It’s satisfying and heartwarming to know that she did manage to grow up on her own against all odds….thanks for sharing the rest of the duck story! Beautiful photos to go with it.